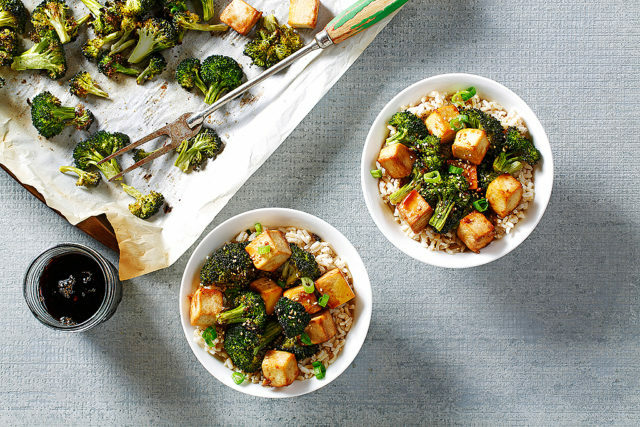 Marinating the tofu adds flavour to this tasty vegetarian dish! Canola oil's high smoke point makes it perfect for high-heat stir-fries. Serve over brown rice. Recipe courtesy of CanolaInfo. In a bowl, whisk together lime juice, honey, soy sauce, vinegar, canola oil, and onion powder. 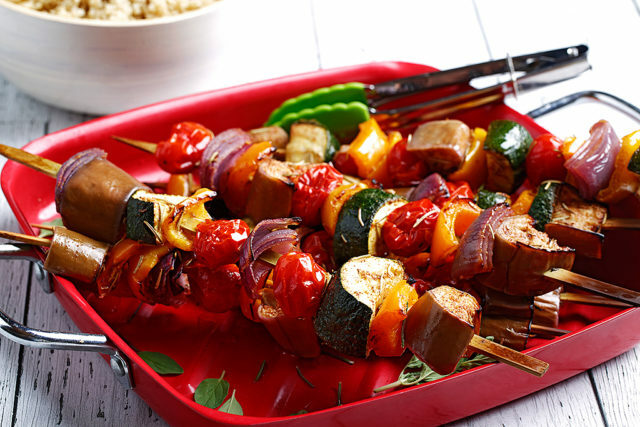 Incorporate tofu and marinate 15 minutes (reserve marinade). In a wok, over medium-high heat, heat canola oil. Cook tofu until golden, about 2 minutes per side. Set tofu aside. In the same wok, stirring constantly, cook onions until browned, 3-5 minutes. Add mushrooms, bell pepper, bok choy stems cut into 4 pieces each, ginger and garlic; cook 3 minutes. 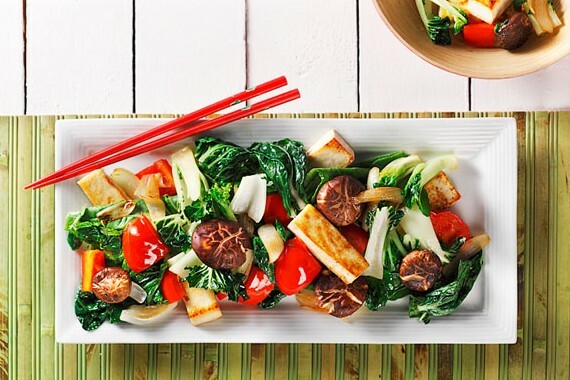 Add bok choy greens, marinade and tofu; cook 2 minutes. Serve immediately.